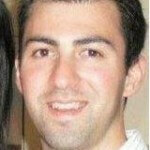 PokerStars is the latest company to introduce two-step authentication which helps make accounts more secure. Players in select countries will now be able to active this feature by registering their mobile phone within the PokerStars software. 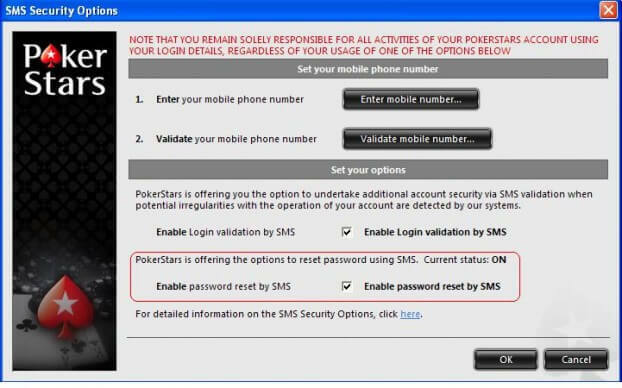 Players can add their mobile phone number by opening up the PokerStars software and clicking on “Account” & then by clicking on “SMS Security Options” then a field to enter a mobile phone number will be provided. When account anomalies are actually detected the players real money account will be suspended until the player enters the code that will be sent via SMS. The account will be protected as the account will not be able to deposit, withdrawal, transfer money, play in cash ring games or register for a tournament. If your account already paid and registered for a tournament before the anomaly was detected the account will still be able participate in the tournament. Players can learn more about these features by going to the PokerStars SMS Validation page which has a section for frequently asked questions such as the following. The use of SMS Validation can enhance your PokerStars account security and reduce the risk of key loggers, phishing attacks, and make it much harder for unauthorised hackers to access your PokerStars account. However no single feature in itself can completely eliminate the risk involved. SMS Validation helps to reduce the risk of hackers obtaining access to your PokerStars account, and can be an important part of a comprehensive security strategy.PokerStars recommends that you also consider obtaining a Security Token from the PokerStars VIP Store for additional account security protection.